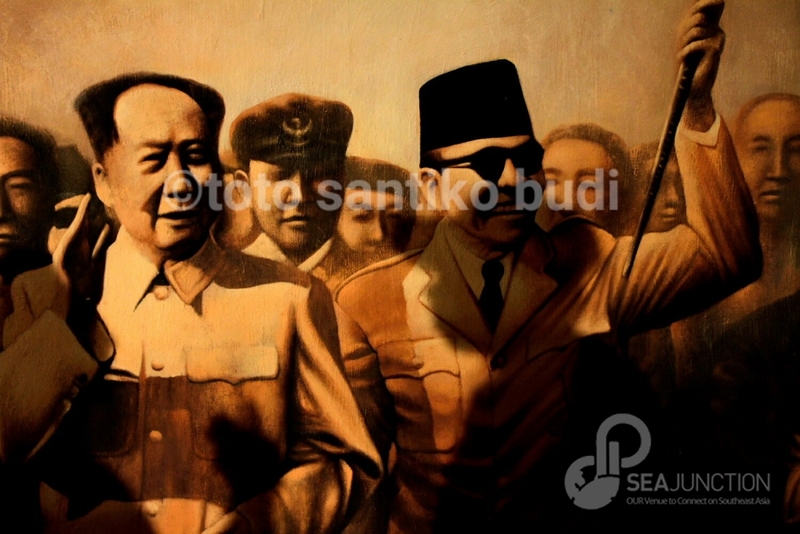 This series centers on the enduring popularity of Soekarno, the proclamator of Indonesia’s Independence on 17 August 1945 together with Muhammad Hatta, and the 1st President of the Republic on Indonesia from 1949 to 1966. 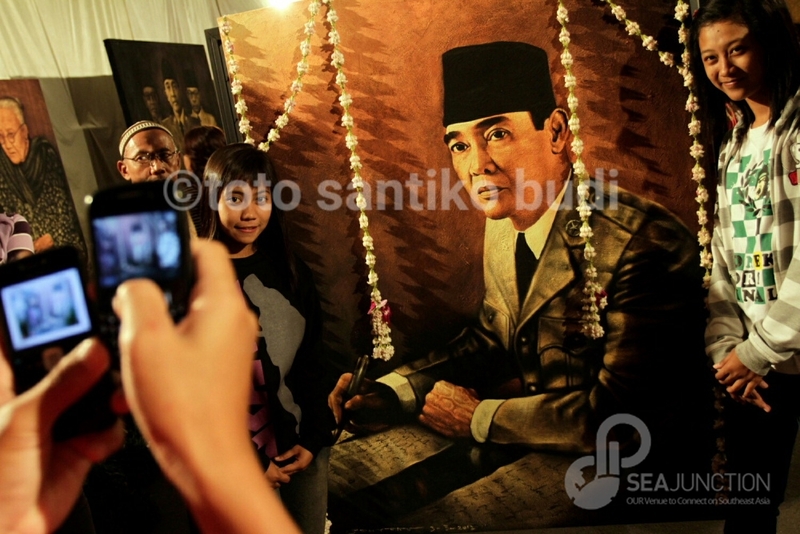 Soekarno was much loved by the population, especially by the poor and vulnerable, and a key figure on the international scene, his vision, oratory skills and charisma widely recognized by friends and enemies alike. After his forced resignation and isolation, he remained popular and since his death on 21 June 1970 his grave has been the object of pilgrims’ devotion. Today his portraits continue to be printed over and over again and artists are inspired to paintings and sculptures in his image. 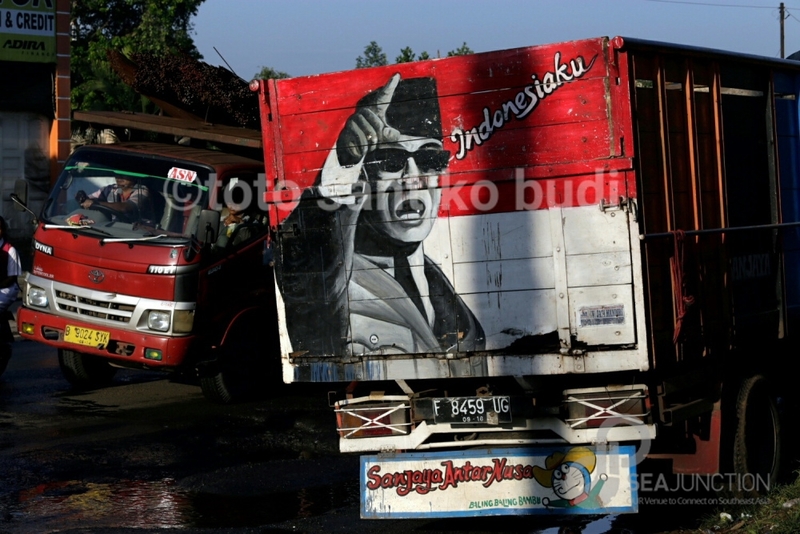 People are willing to queue for hours to take pictures in front of his paintings or with his impersonators, and his image can be seen on trucks and cars. 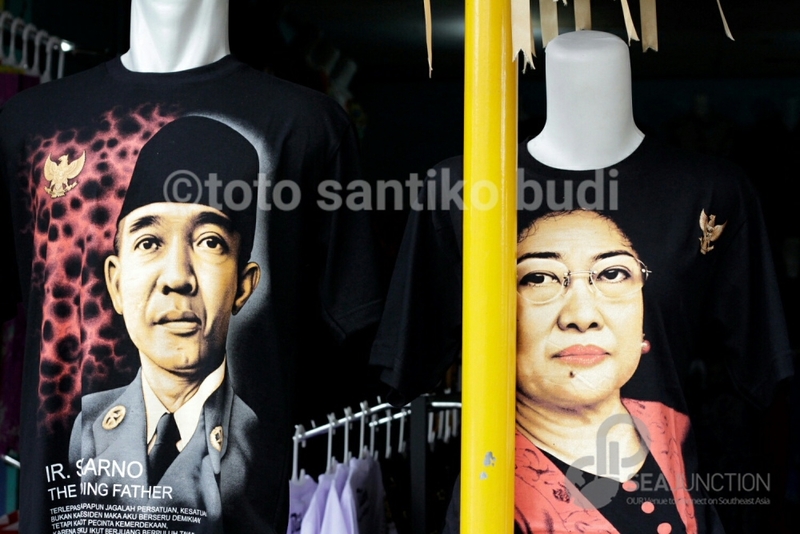 All this makes of Soekarno the most popular figure in Indonesian history. 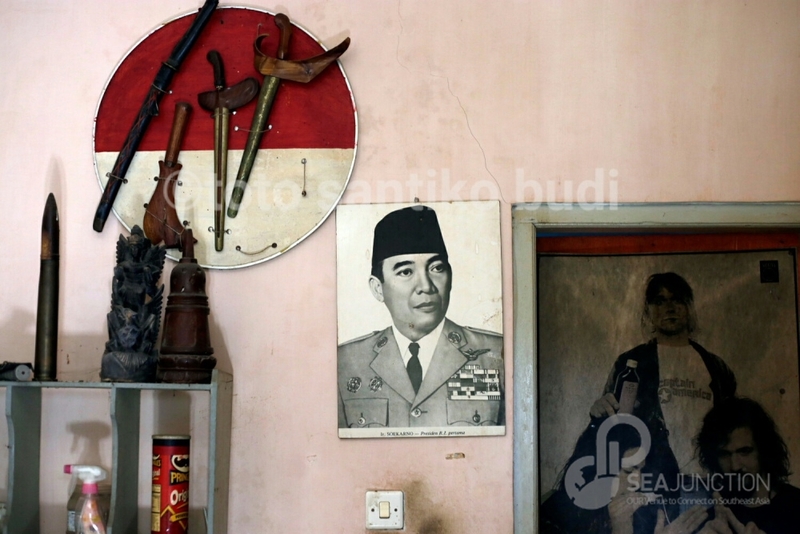 Toto Santiko Budi’s passion is photojournalism, documentary and travel photography. 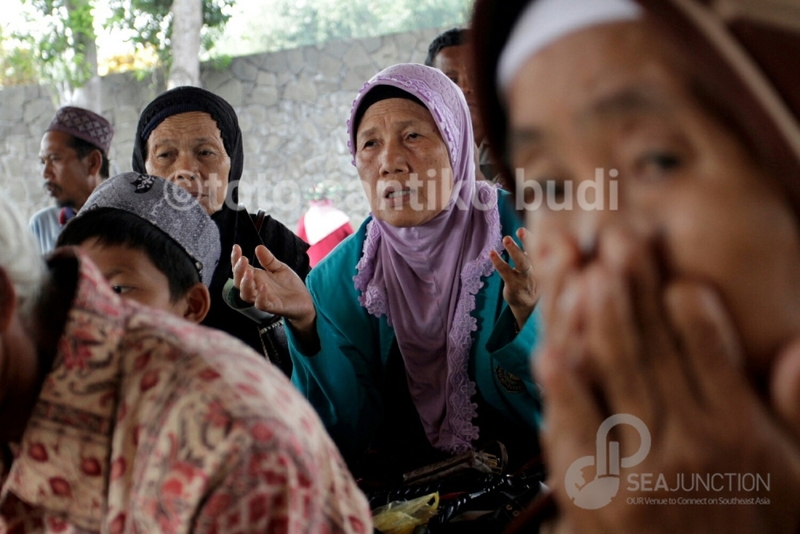 He started his career in 2000 as a staff photographer for a local newspaper and magazine in Surabaya. 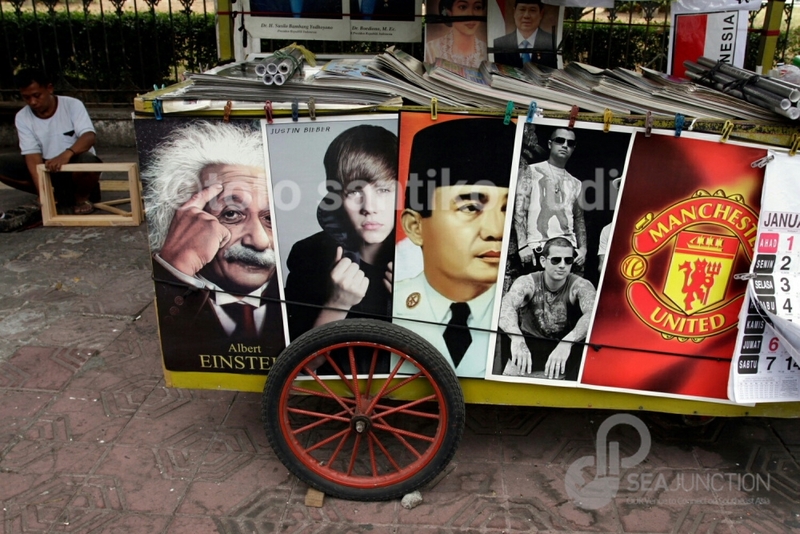 In 2005 he moved to Jakarta as a freelance photographer. 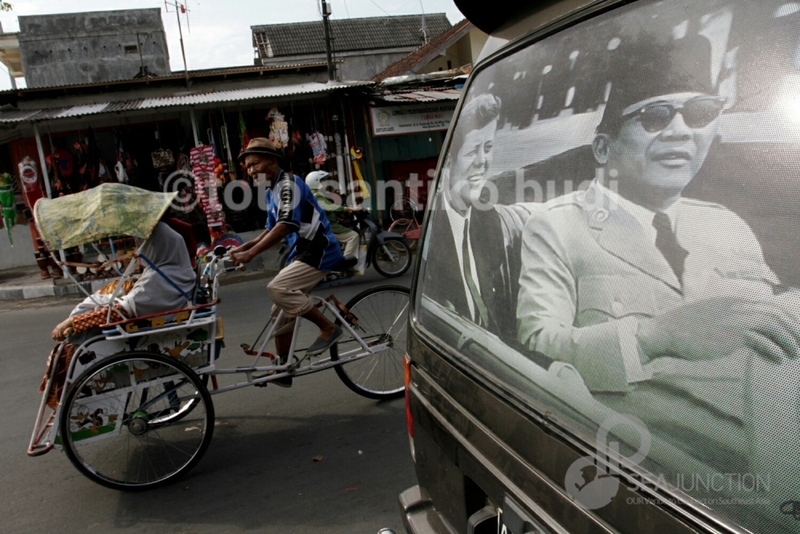 In 2006 he become a participant of the photojournalism workshop held by World Press Photo and Panna Institute in Jakarta and a year later his photo essay titled Jakarta Flood was selected for the slide show at Angkor Photo Festival 2007. Today his works are published widely in local and international media.